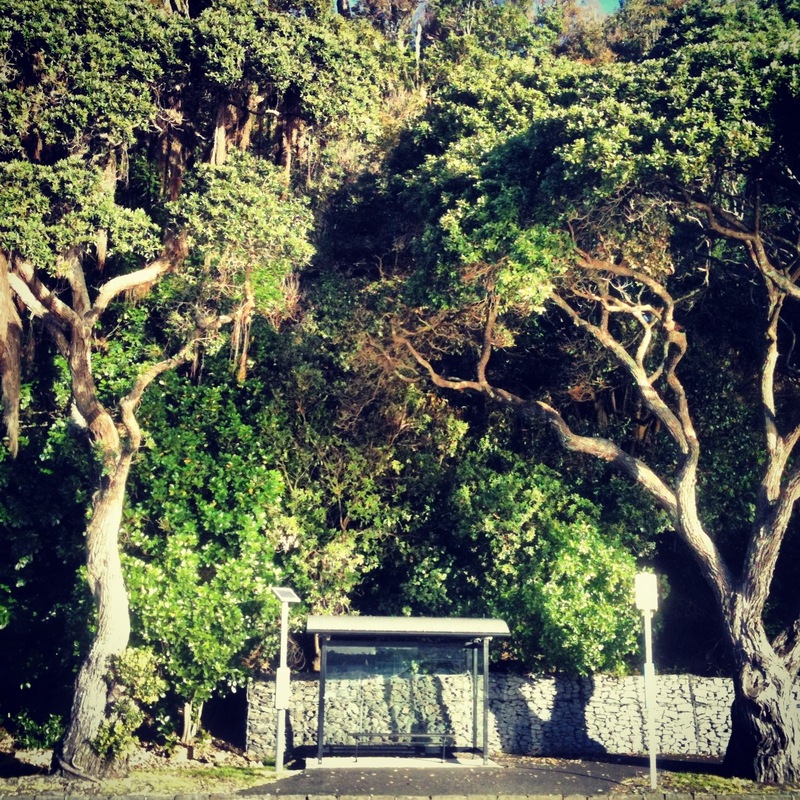 This bus stop in central Auckland, New Zealand’s largest city, is arguably one of the most beautiful bus stops in the world. The long winding road leads straight into the CBD from the beachfront suburbs of St Helier’s and Mission Bay. Dwarfed by two huge towering trees and with great sea views this little shelter is not a bad place to wait. As the first cherry blossoms are livening up the streets of London, it is a reminder that spring is almost here. After months of grey and limited sun light there are many reasons to be cheerful. Soon the trees and flowers will gain their new buds and make the world a more colourful place. However there has been some premature colour on a number of trees in East london lately as bright knitted crochet sleeves have been wrapped around the trees standing outside Hackney town hall. You can find street art is all over London, in places which you may not expect or notice. I cycled past this no entry sign everyday for two months before I noticed it looked a little odd. Merging art with nature, or the few trees that remind us of nature in London, seems to be a big theme with artists integrating quirky installations with green spaces. As I was strolling around in the rain this afternoon I looked up at the miserable grey clouds responsible for my soaking wet hair and for the first time I noticed a huge block of birdhouses on a tree. The extensive structure is both striking and strange, it has been described as an estate for birds and does indeed seem to have room for quite a few species. These quirky little details bright and obvious or hidden in dark corners make me smile when I come across them. It reminds me of the eccentric nature and creativity of this city.